Sometimes there are no themes, no ways to organize life. Things just are. Kinda like this post. 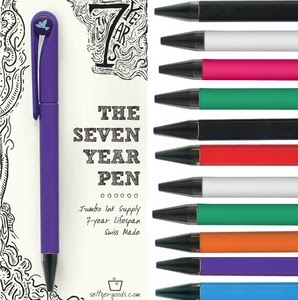 The Seven Year Pen – The Seven Year Pen from Seltzer Goods is just flat out amazing. I bought one the other day, since I’m a big fan of ballpoints and writing longhand. According to the packaging, “100 million pens are discarded every day,” and this pen is designed to write 1.7 meters a day for 7 years. Sign me up! Um…literally. Local Writing Group Resumes – Today, I’m meeting with the ladies in my local writing group for the first time since November. I’m really looking forward to reconnecting with everyone and getting back into the rhythm of critiquing and exchanging work. Taking December off was great for personal reasons, but now it’s time to get back to writing. 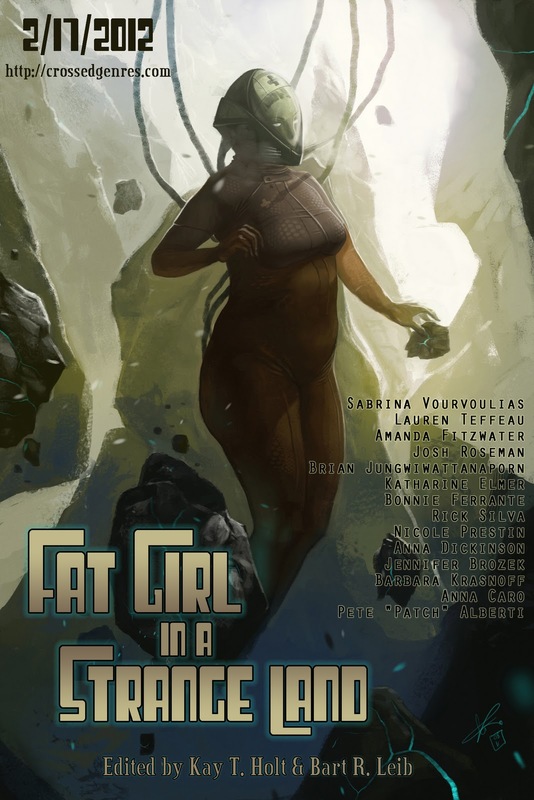 Fat Girl in a Strange Land ARC Giveaway – Crossed Genres Publications is offering three advanced reader copies of the Fat Girl in a Strange Land anthology (which includes my story “The Tradeoff”) through Goodreads. Go here for your chance to win. I’ll also have an interview with the editors when we get closer to the anthology’s release in February. Another Resource Roundup Forthcoming – I’ve just started to pull together a post on querying, which should be ready to go next week. Fingers crossed. I’ve been putting it off since these types of posts are so time consuming, but hopefully it will be worth the effort! Taos Toolbox – I found out this week I was accepted to this year’s Taos Toolbox, a two-week master class in science fiction and fantasy writing this summer. It’s led by Walter Jon Williams and Nancy Kress, with Daniel Abraham as a guest lecturer. I’m really excited for the workshop, but now I’m already paranoid about what projects I’ll be workshopping, whether I’m well-versed enough in the genre (I’m not), and other feelings of unworthiness. There’s still time to apply to Taos and other SFF workshops this year – check out this great post by John Joseph Adams for Inkpunks breaking down the different options. That’s it for me this week. Happy writing! The digital age has given writers amazing opportunities – connecting them to other writers and potential readers, facilitating the exchange of information and resources, and creating new channels to distribute content. But there are implicit assumptions we all make about social media. After my Social Media Guilt post a few weeks ago, I said I wanted to explore this topic in greater detail, so here it is. People engage in social media to connect first and foremost. to find like-minded individuals. Ex. I like to write, you like to write, so let’s be friends. to find experts and tastemakers. Ex. 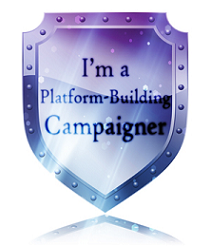 I want to stay on top of the writing industry, so I follow publishing professionals. to find consumers for their own content. Ex. I’m a writer so I’m going to build a blog to reach out to potential readers. In all of these cases, writing could be substituted with, say, knitting or Civil War reenactment, or French cooking, or what-have-you. Most of us have interests outside of writing, and use social media to stay on top of the things we care about. It is also important to note that there is a degree of self-interest associated with each of these reasons to connect with others. People use social media because there is a benefit to them using it. If there were no benefits, or if the benefits didn’t outweigh the negatives associated with social media, it wouldn’t work. Invisible consumer – Someone who seeks out content but does not engage with the creators/sharers of the content. Your classic lurker. Masked consumer – Someone who seeks out content and engages with creators/sharers of content on some level but uses an online persona to do so. For example, people who leave comments or follow people, but don’t use a real name or have any contact information. Visible consumer – Someone who seeks out content and engages with creators/sharers of content without hiding their true identity. Masked creator – Someone who creates content but does so using an online persona (like me). Visible creator – Someone who creates content and does so without hiding their true identity. These are simplistic categories, and not mutually exclusive. And chances are, if you have a blog or a website or what-have-you, your followers are combination of all of these types of people. Well, we have people connecting with each other for different reasons with different levels of involvement on the one hand. And on the other, we have analytics that only capture (or imperfectly capture) parts of the activities that comprise social media use and consumption. Things like blog hits, number of followers, RTs and mentions, likes and +1’s. Numbers, quantities, that supposedly illustrate the value of someone’s blog or twitter stream, whatever constitutes their social media presence. And frankly, regardless of whether they are right or accurate, numbers matter in social media. We are told ways to increase our followers, comments, etc. 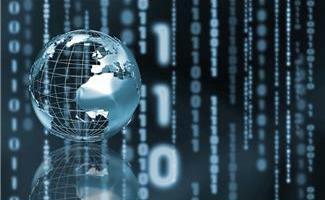 We are told that the numbers don’t really matter so long as you have an online presence. We are told numbers only matter depending on what stage of your career you are at. We are numbers-obsessed as content creators, but consumers of content also rely on numbers to determine how relevant the content is to them. Especially with the glut of writing-related content out there, the importance of numbers and the endorsement of influential experts in the writing blog-o-sphere is huge. Quality content, for me, is always king, but I’m more likely to give a post a chance to grab me depending on the other, primarily numeric, factors. Lots of followers? I think, hmm, maybe this person really knows what they’re talking about. Lots of comments? I think wow, what an engaged following they have. But if I scan the comments and they are all clones of each other or bland “I agree” or “Author, you are so awesome,” I tune out. Same with Twitter. I don’t auto-follow back someone. I see if they are relevant to me, and then I look at their followers to tweets ratio. Lots of followers but a small number of tweets? This is someone on a follower blitz, relying on people’s autofollow policies to inflate their numbers. These are some of the things I look at when evaluating online content. There’s no right or wrong here, and I’m sure you look at content in different ways or weight things differently than I lay out here. But I think it is important to analyze your own behavior when it comes to social media consumption, not only to better understand yourself and your online habits, but to also examine your own content and the way it can engage consumers. So the next time you engage in social media, ask yourself what are your implicit assumptions in consuming and creating content. How are you really evaluating what you consume online? So my name is not Bluestocking. Did I just blow your mind? I was uncomfortable with labeling myself a writer. I wasn’t sure if this whole blogging thing was for me. I am slowing getting publishing credits. I’m growing more comfortable calling myself a writer. I’m still blogging – less as an experiment and more for a platform. So having a blogging alias is not so necessary any more. But I’m still using it. Why? Well, as I was telling my CP Lori M. Lee the other day, it’s complicated, and it mostly comes down to what I write: historical romance and speculative fiction. Two very different genres, with different expectations and readerships. 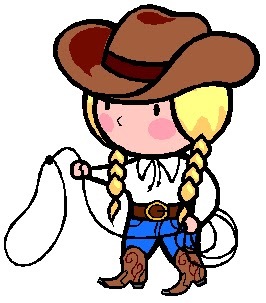 It’s not so bad as say picture books and erotica, but the gulf between the two is still there. Despite whatever level of success I attain in either area, these are the genres I see myself writing in for the long haul. Considering the prevailing wisdom out there about author branding and platform-building, I should have an author persona for each genre I write in. Some people like Kristen Lamb predict that pen names will eventually go away in the digital era, but for now, like a lot of other things in publishing, pen names are still around. So now the question is where does my blog fit in? Now occasionally I will talk about my historical romance or my speculative projects on the blog, but to me, these distinctions don’t really matter since ultimately this is a blog about writing and writing-related things (putting aside the whole writing blogs are bad argument). I used to think I’d figure it all out when I had to. But when it comes to blogging or any social media presence, it is important to have a strategy. I want to know how I will handle my online presence now even though it’s rather self-indulgent to assume I’ll succeed in any genre let alone both. At the same time, I don’t want to make a wrong choice at this early start of my career, and have it haunt me later on down the line. I don’t know. But after blogging for over a year and a half, after putting together so many posts I’m proud of, losing this blog or starting over isn’t appealing. I don’t have any easy answers here. I’m still Bluestocking for now. We’ll see how long that lasts. 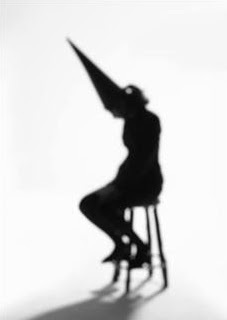 Jami Gold’s To Pen Name or Not to Pen Name? Men With Pen’s Should You Use a Pen Name or Pseudonym? The door swung open as Mrs. Fawcett took the rattling tea service out to the parlor. Bright bursts of laughter invaded the kitchen before the door cut it off, swinging back on well-oiled hinges. Kitty caught the sickly-sweet whiff of roses from the funeral home bouquets, set out like trophies in the hall. They would need to throw them out, but Madam enjoyed her life as a widow too much to destroy the evidence just yet. Kitty couldn’t blame her. The Master was not well-loved in life, nor would he be sorely missed in death. The increase of afternoon teas was the only impact his death had below stairs. But talk of gambling debts and unrealized investments made Kitty wonder just how secure her placement at Bethany manor was. She had gotten better at interpreting Madam’s imperious tone, knew how to avoid the son’s roving hands, and which cook didn’t mind her sneaking a bite here and there. She didn’t want to start over. Not again. Mrs. Fawcett pushed back into the kitchen with a look that said “Mind yourself, Kitty.” The only thing she knew how to do. Kitty shuddered as the door swung shut. 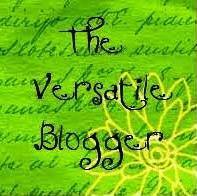 Also, I learned today that Gail Shepherd who blogs at Paradoxy gave me the Versatile Blogger Award. I met Gail through the campaign and have been impressed with her series of interviews with other writers. Thanks so much for the award, Gail! I’m a big fan of tennis and I’ve been trying to catch US Open matches this week in between my writing and reading time. I have a freckle smack dab on top of my right foot. Growing up, my parents used to take a marker and put a polka dot in the shoe intended for my right foot, so I’d know which one went on which foot — just connect the dots. I contend that this is why I still have trouble distinguishing between right and left today. I got a little verklempt last week when I went to my local Borders to buy books for the last time. I’ve been going there since middle school and have fond memories of the place despite all that’s happened. I tripped getting out of the limo at prom. I tripped and nearly fell on my first date with my now-husband. I tripped and fell on a run with my dog last year. I fell off the sidewalk walking around the neighborhood with my husband and my dog. Clumsiness is a constant in my life. The good news is I know how to fall without hurting myself. Usually. I love spicy food. Not so hot I can’t feel my tongue — no hot wing eating contests for me — but I love a little heat and bold flavors in my food. So bring on Mexican and Thai food. I’m allergic to cats. The only thing that I know of that I’m allergic to. I have never broken a bone in my body. Pretty amazing given #4. Let’s hope it stays that way. Thanks again for the award, Gail!